Keith Marshall, the no. 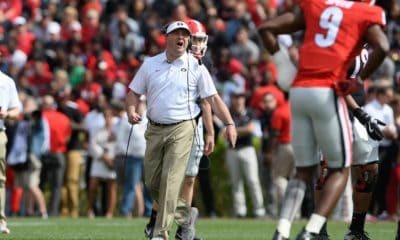 1 ranked running back in the country, has verbally committed to the Georgia Bulldogs. Marshall announced his decision this afternoon at his high school. Rivals.com ranks Marshall as a 4-star recruit, the no. 1 all-purpose back and no. 31 overall. Scout.com rates him as a 5-star recruit and the no. 1 running back in the nation. Marshall (5-11, 190, 4.4) committed to the Bulldogs over offers from all of the top schools, including Alabama, Arkansas, Auburn, Clemson, Florida, Florida State, Michigan, Notre Dame, Oregon, Stanford, USC and Virginia Tech. 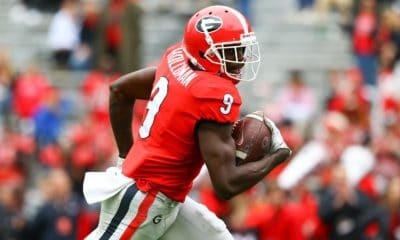 The commitment of Marshall is huge due to Georgia’s extreme need for quality running backs. 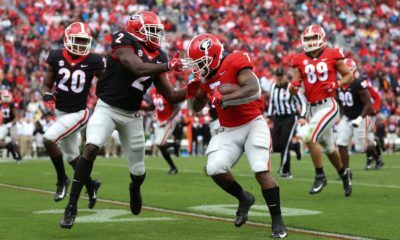 The Dawgs have suffered at the position this year with injuries to Isaiah Crowell and Richard Samuel, and multiple suspensions including Crowell, Carlton Thomas and Ken Malcome. 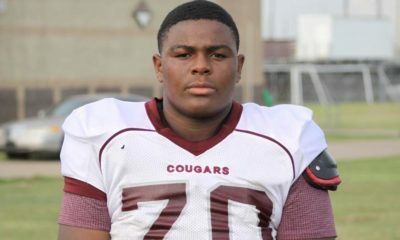 Marshall is UGA’s 15th verbal commitment for the 2012 recruiting class and first running back. He is set to graduate from Millbrook High School in Raleigh, NC in December and will enroll at Georgia in January.